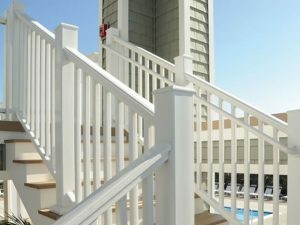 AZEK Rail Premier, a classic Victorian profile, is available in five colors and offers the ability to customize with four unique infill options: composite balusters, round and square aluminum balusters, cable and glass. 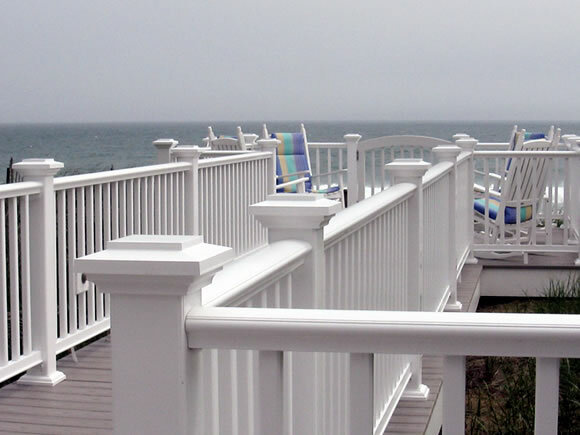 AZEK Rail Premier offers the beauty and feel of real wood railings coupled with the high durability and low maintenance you expect from AZEK products. Imagine the feeling of having low maintenance outdoor porch, deck and balcony railings that look beautiful and last year after year. 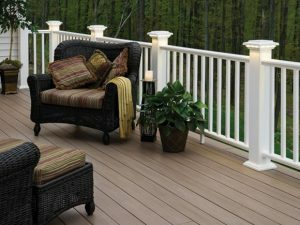 That dream can become a reality as AZEK Rail Premier is highly durable and perfect for use with AZEK Deck and Porch. With this popular handrail profile in five classic colors; it is now easier than ever to find the perfect PVC exterior railing system to offer a total low maintenance outdoor living area.